Duramax engines are known for main cap movement on stock motors and it gets worse with more horsepower. The main cap movement can cause premature bearing wear or even worse, catastrophic engine failure. 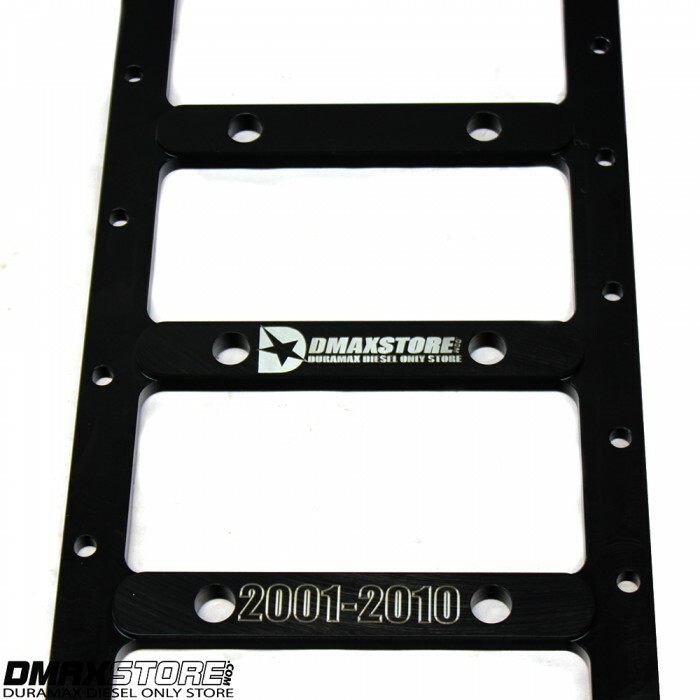 DmaxStore's Billet Main Girdle will eliminate the main cap movement. 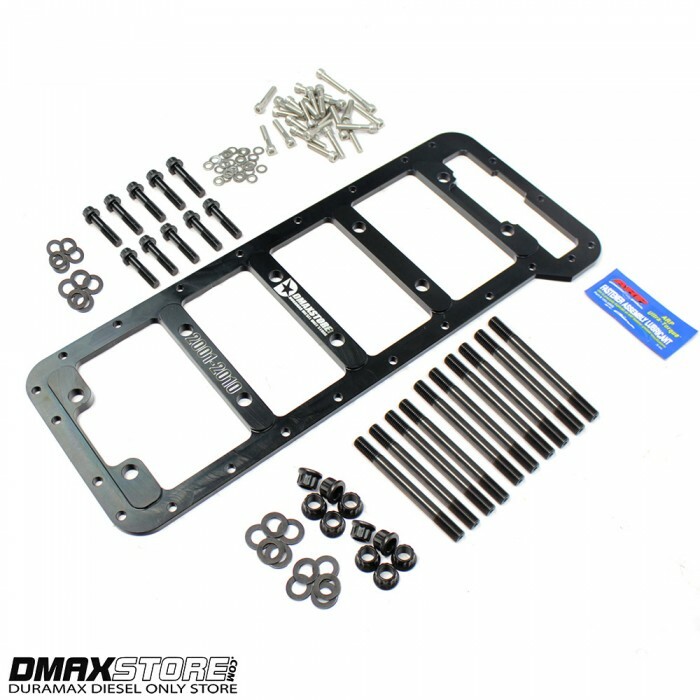 DmaxStore has these 1/2" thick billet steel girdles made right here in small town USA. 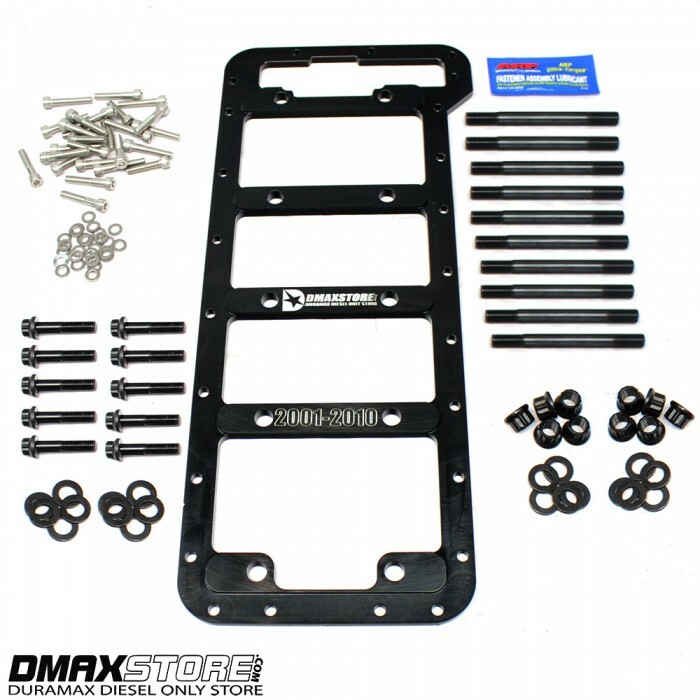 This kit also includes the necessary, longer ARP hardware to provide the extra support your Duramax engine needs. 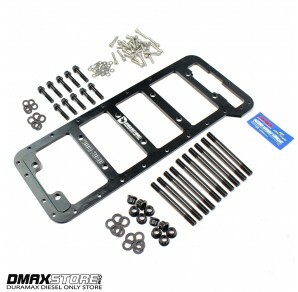 This one piece girdle will help eliminate movement by tying all the main caps together to the oil pan rail, providing extra strength and durability. Anytime you are rebuilding the motor, it is highly recommended to install our billet main girdle for extra strength and support. If factory main caps are used, they will need to be machined and is recommended to be performed by your engine machine shop.